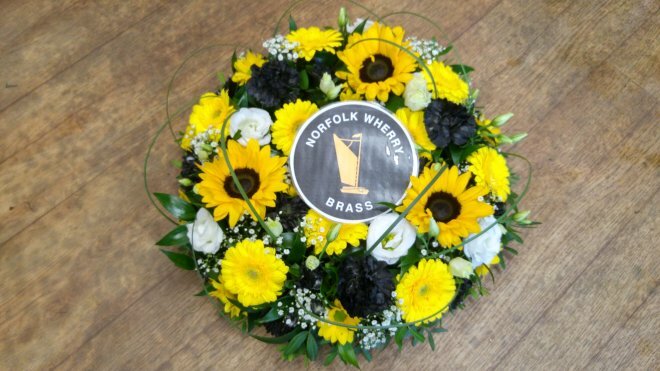 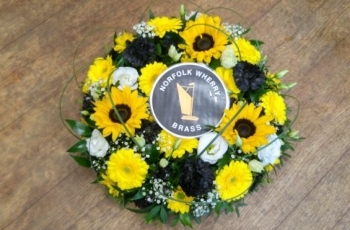 Today was one of the saddest days in the history of Norfolk Wherry Brass as we said a final goodbye to Dave Cassady, one of our founder members. 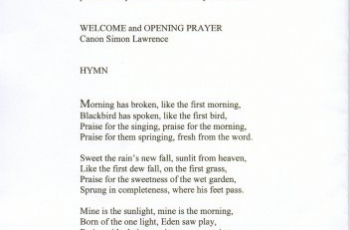 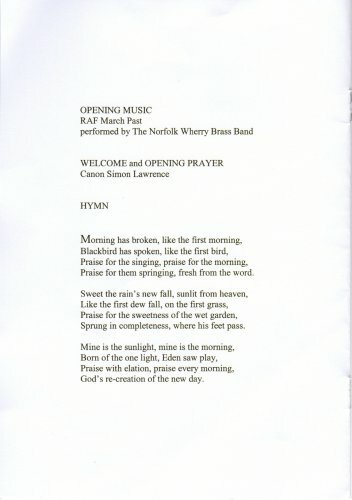 The band played the hymns and other music during the service. 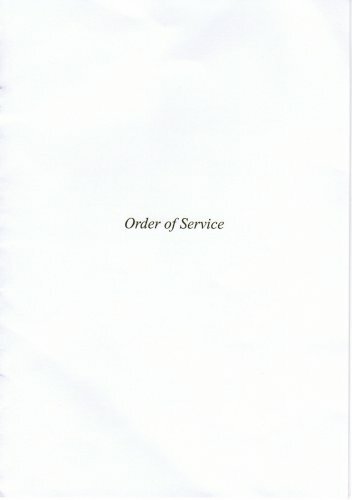 The band was made up of current players with former players filling seats where our own players were unavailable. 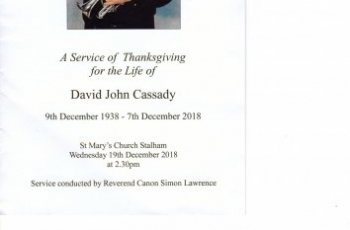 Sadly many others who wanted to play, were unable to do so due to space restriction within the church. 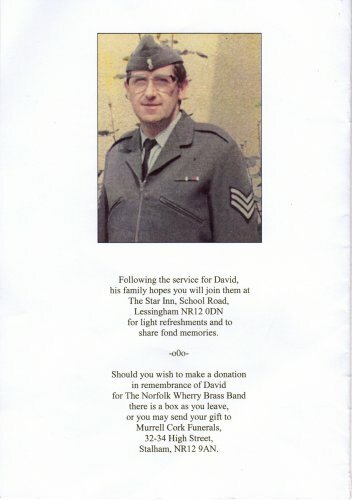 A cornet was left on Dave’s empty chair in tribute. 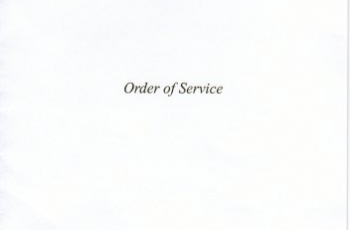 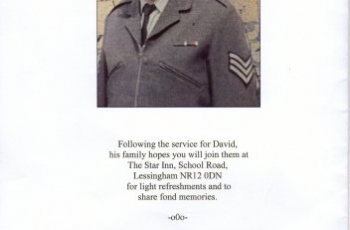 Dave’s Royal Air Force connections were represented with the standard of the Royal Air Forces Association’s Potter Heigham Branch where he was a Life Member. 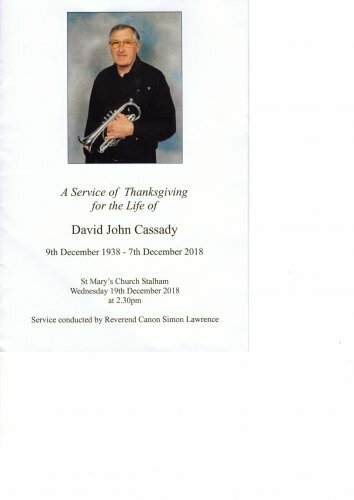 The church was packed for this fitting tribute to a fine musician who was a very popular and lovely man. 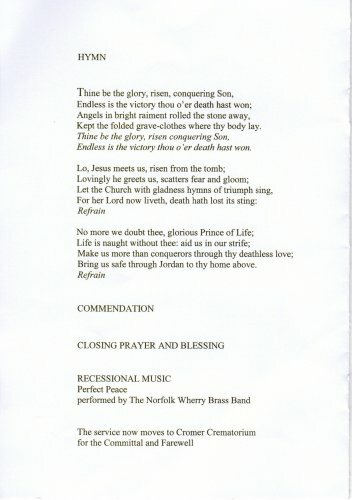 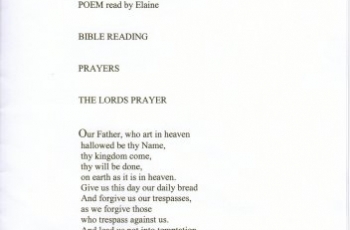 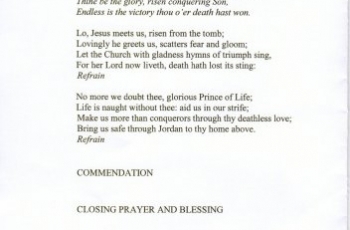 The last post was beautifully played by Steve Kemp at the Cromer Crematorium. 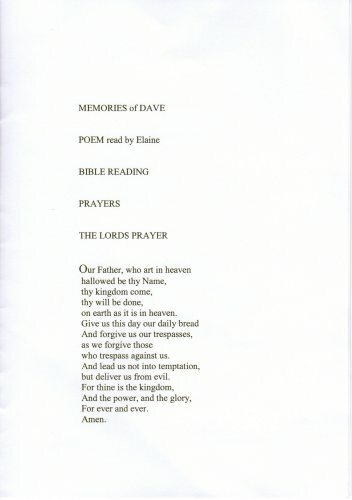 Rest in Peace David – we will remember you.